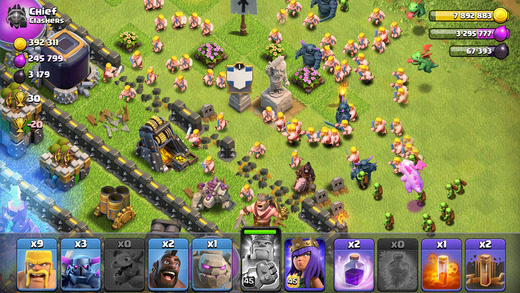 Clash of Clans [Free] has received a new update that includes considerable content and changes. Home Village now includes new upgrades for the Cannon, Archer Tower, and Inferno Tower. Also, you can level up the P.E.K.K.A, Healer, Wizard, Miner, and Wall Breaker. Furthermore, this update also affects the Builder Base which can be leveled up to Level 6, giving you more upgrades to buildings and level ups for troops. Now, the Night Witch is available in the Builder Base along with her Bats. There is also a new Roaster defense which you can utilize and burn your opponents with. If you haven’t updated your game, then don’t wait too long because you got a base to fortify and new troops to level up!